This straightforward and easy to use time-track gadget looks like a toy at first glance and has a miniature accelerometer inside of it. 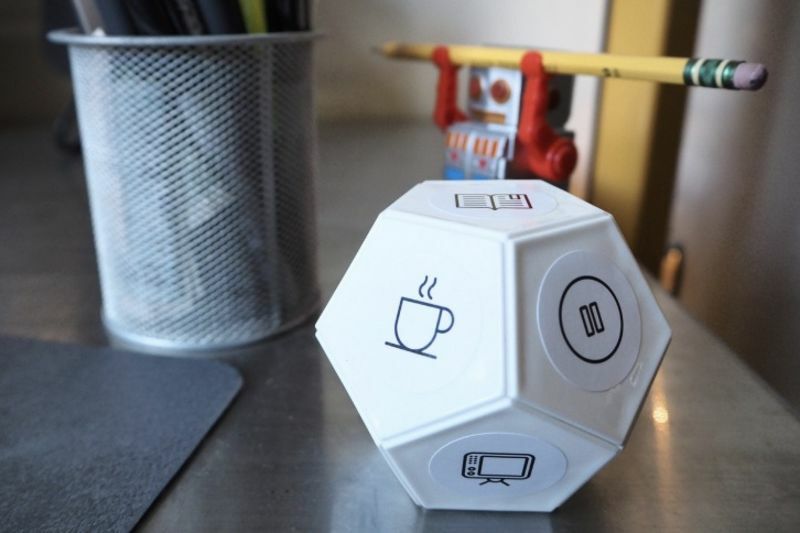 Known as TimeFlip, the gadget helps you track how much time you spent on various activities by simply turning the dodecahedron around. The dodecahedron (basically a 12-sided dice), with a tiny accelerometer inside the gadget, tells which side it is sitting on. The TimeFlip comes with a set of stickers representing common activities and websites including emails, YouTube, eating and shopping. Procrastination is also an option (yay for all the procrastination pros out there) which could be helpful for people trying to kick that bad habit. There are blank sticker options as well, so you can customise your TimeFlip gadget according to your lifestyle and hobbies. The smart device, which is going to become available via Amazon in February, also syncs to a mobile app so you can better keep track of your time. All you do to operate the time-tracker is flip it around so the side corresponding to what you are currently doing is up; the chip inside the device sends a signal over Bluetooth to an app on your phone and automatically starts recording time.